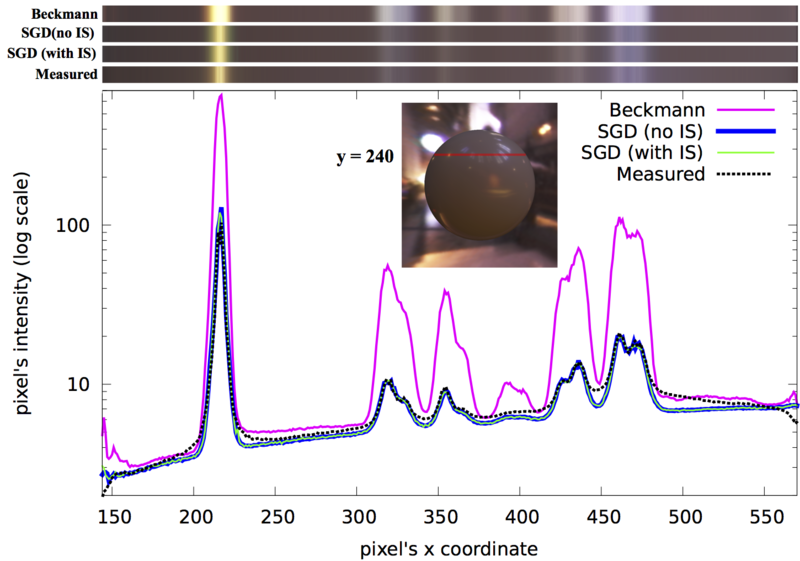 Abstract : Material models are essential to the production of photo-realistic images. Measured BRDFs provide accurate representation with complex visual appearance, but have larger storage cost. Analytical BRDFs such as Cook- Torrance provide a compact representation but fail to represent the effects we observe with measured appearance. 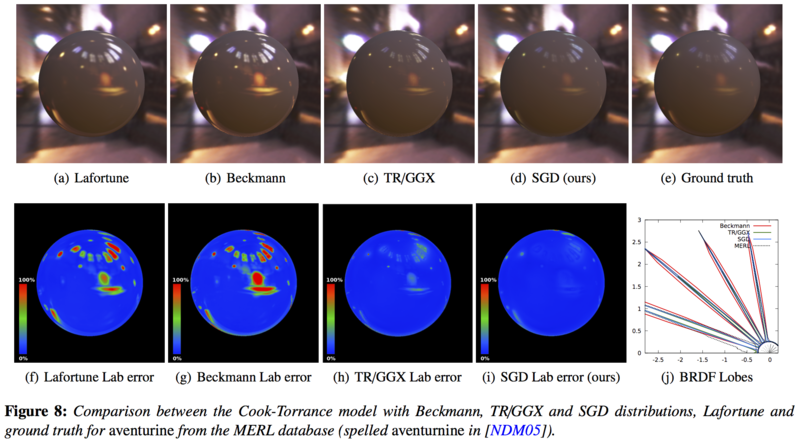 Accurately fitting an analytical BRDF to measured data remains a challenging problem. 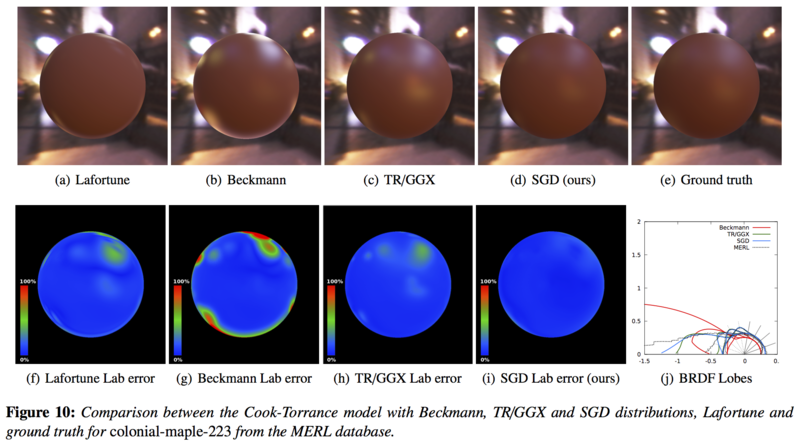 In this paper we introduce the SGD micro-facet distribution for Cook-Torrance BRDF. This distribution accurately models the behavior of most materials. 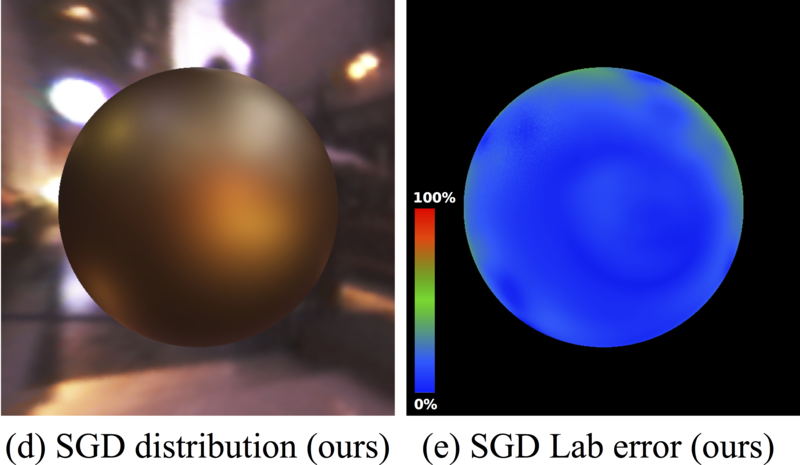 As a consequence, we accurately represent all measured BRDFs using a single lobe. Our fitting procedure is stable and robust, and does not require manual tweaking of the parameters.